Home / Advocacy / Film / South Africa's Most Watched Telenovela Addresses Albinism Myths & Killings; And We're So Here For It! 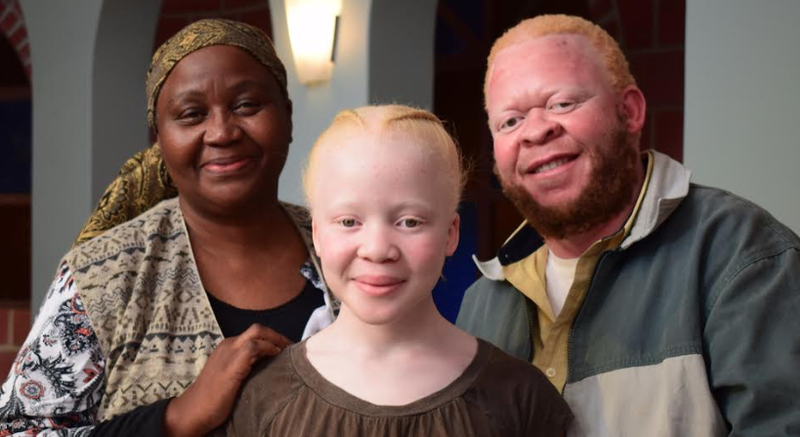 South Africa's Most Watched Telenovela Addresses Albinism Myths & Killings; And We're So Here For It! South Africa's most watched and award-winning telenovela, Uzalo is spearheading a very important social issue by addressing myths and killings on people with albinism. Uzalo has incorporated an albinism centered theme as a part of their storyline; with the objective that the message and gruesome facts depicted encourage us to do better for the sake and peace of all humanity. The new stroryline explores countless upheavals surrounding people with albinism with the aim to dispel the harmful myths pertaining to this pressing issue. According to Uzalo’s executive producer Mmamitse Thibedi, the storyline will explore difficulties experienced by people with albinism and work to debunk the various myths that surround them. Thibedi further added that, "Taking on this angle in our storyline has been a huge and emotional learning curve." Albinism activist and Uzalo actor Mpho Tjope, who is also a person with albinism said, "People with albinism are under enormous threat and there is little institutional support to address the unique issues they face. We were fortunate enough to work with an activist from the community." Not only are albinism killings rampant in South Africa but also on the African continent as a whole. For example in Tanzania, people with albinism are hunted and killed for witchcraft practices. Uzalo boasts the most viewership figures and as if that's not enough, it airs on the most watched national broadcaster channel which is another plus. In case you're wondering why does their viewership matter, well, having such a huge following and taking on social issues and injustices is a BIG DEAL as the message gets spread to a wider audience hence more people are enlightened. We often use the term Albino when referring to people. It is wrong. Albino is a general term. It could be a plant, human or any other species. The right term is people living with albinism. Media is a very powerful tool; and when used consciously, it can help change the status quo regarding countless pertinent issues. We need these conversations and platforms such as brand Uzalo, along with their loyal following can help cleanse society of its ignorance about albinism. Awareness and representation are vital as far as this is concerned. I'm also glad people with albinism get to be represented in a mainstream media platform, exploring their daily lives. You can't be what you don't see so for the young ones out there, this must be something different and that needs to change. They too, ought to be seen, heard, and respected because they're human beings too.